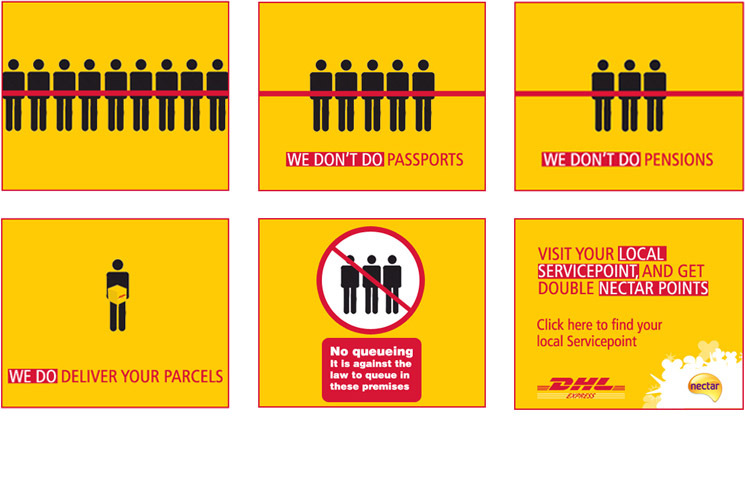 Campaign to promote Servicepoint, DHL's answer to the Post Office. Why pay more to go there? To avoid tiresome Post Office queues. This was at the time of the smoking ban, so we played on that to bring across this message.